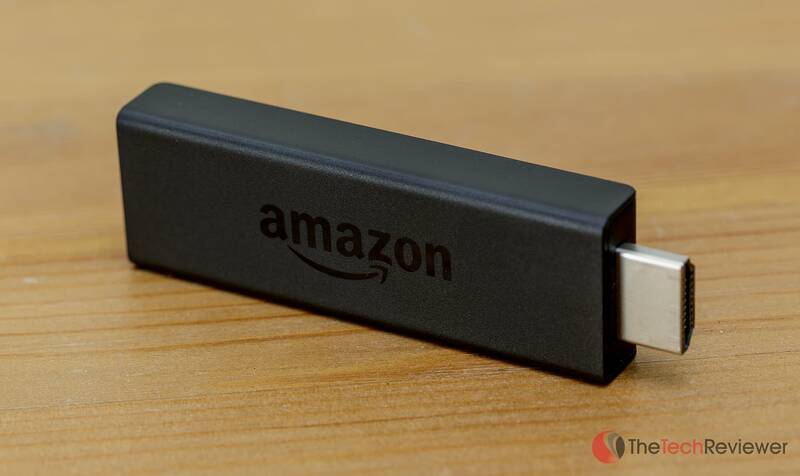 Amazon Fire TV Stick Review - Better Than Roku Stick? Amazon's Fire TV Stick offers many streaming benefits at an affordable price. Amazon has been competing in the media streaming market since 2006 with the launch of ‘Amazon Unbox' which is now more commonly known as Amazon Instant Video. Since then, the company has gone on to tremendously grow their video content library as well as branch into the music-streaming market with the recent launch of Amazon Music. This past April, the Amazon Fire TV was released, and this marked the first time the Seattle-based company had produced standalone hardware for media streaming purposes. While it had impressive technical specifications, the $99 price-point was hard to justify with competitors like Google's Chromecast and Roku's 3500R Streaming Stick who both offer the basic streaming features that many consumers desire at a significantly cheaper price point. Due to this dilemma, the Fire TV Stick is here touting a low, $39 price-point. Amazon's streaming stick rivals that of Roku's standalone option with easy access to popular streaming services such as Netflix, Hulu, YouTube, Twitch.tv, Amazon Instant Video and more, all while remaining $10 less than the competition. In terms of the physical aspects, the Amazon Fire TV stick closely resembles the design elements found on its rival streaming sticks. If you've never seen any of these streaming sticks in-person, they are most comparable to an over-sized USB flash drive and are small enough to slip into a pants' pocket. When measured from the HDMI tip to the end of the body, the Fire TV Stick spans about 3.5-inches in length and is just under an inch wide. The stick itself is comprised of two pieces of matte black plastic that are molded together leaving a small seam running along the body. Amazon added some subtle branding on one side of the body and miscellaneous product information (serial number, model number, etc.) on the opposing side. Unlike the Roku 3500R and Chromecast, the Amazon Fire TV Stick does not feature any type of a reset button on the body. The male HDMI connection sticks out from one of the ends with a firm implementation and no side-to-side wiggle room. Under the Amazon branding, there is a MicroUSB port that is the sole supplier of power to the device. Included in the box is a physical remote to interact with the Amazon Fire TV stick while in use. The remote is compact and offers an array of buttons for navigating the menus and carrying out playback functions. 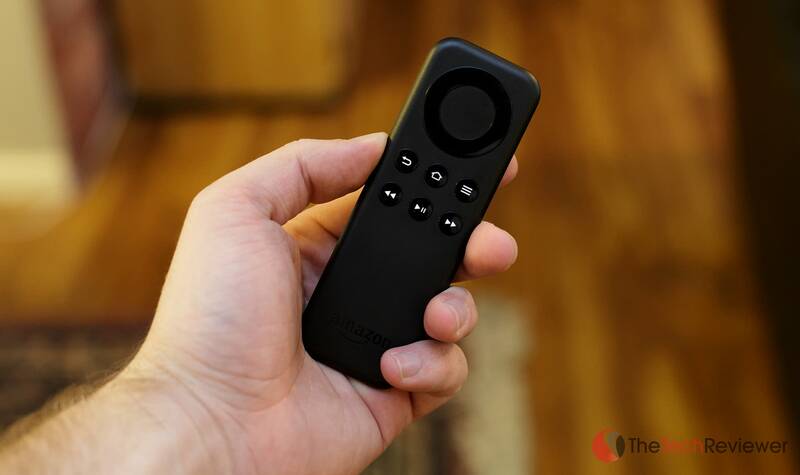 Unlike the remote that is included with the higher-priced Amazon Fire TV, this remote does not have built-in voice recognition although you can download an app on compatible smartphones that will allow voice searching. The Fire TV Stick boasts specs that far surpass the streaming stick competition at this time. With that being said, I am not quite sure you'd notice a huge difference in regards to performance as these specs as most current streaming tasks are not very resource intensive in terms of hardware. 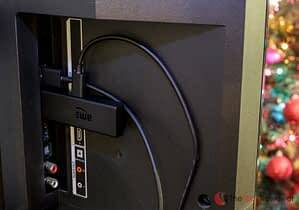 The use of a traditional HDMI connection allows the Fire TV Stick to be implemented on any modern HDTV without a hefty installation process. 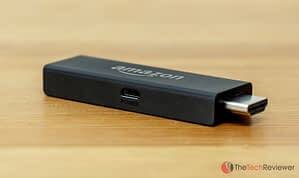 You'll need to have an empty HDMI port that you can insert the Amazon Fire TV Stick within and Amazon even included a bendable HDMI-to-HDMI adapter for use with hidden ports that may be obstructed by the device's bulky design. 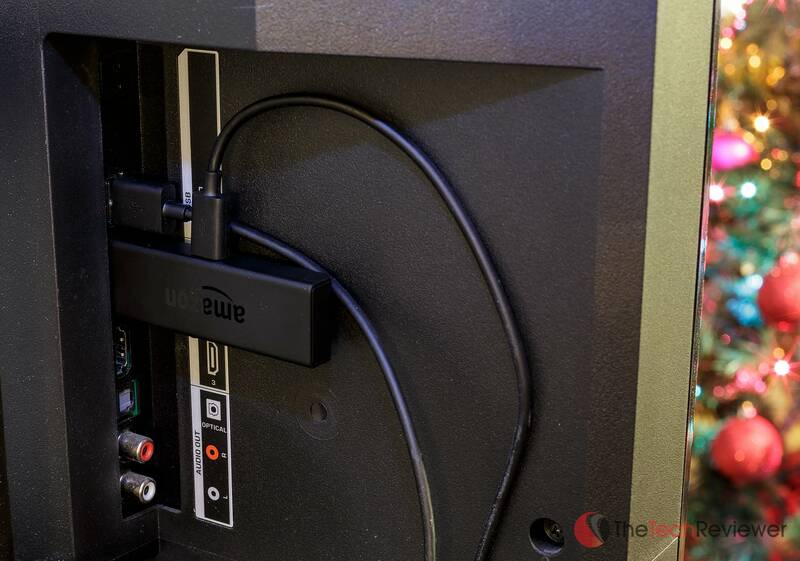 Once the Fire TV Stick is inserted into the HDMI port, the next step is supplying power via the included USB cable. If your HDTV model offers a USB port (most recent models do), the USB cable can be plugged directly into this for supplying power although Amazon recommends using the supplied USB to AC adapter to achieve the optimal performance. 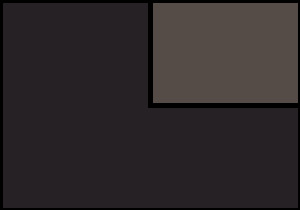 When the Fire TV Stick is inserted properly with power running to it, you'll need to change your HDTV's channel to the correct input. You should see a brief on-screen introduction video which will show you how to navigate about the Amazon Fire TV's interface and access the included features. The Fire TV Stick's interface is rather clean with multiple sub-sections for organizational purposes. 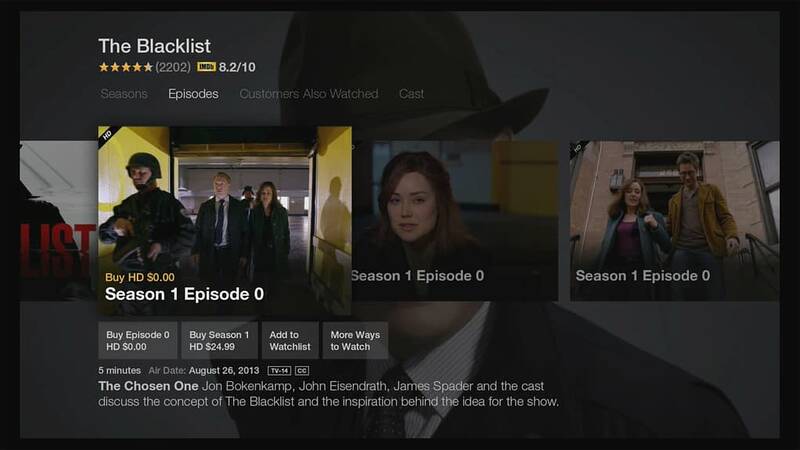 As you'd expect most of the tabs tend to gravitate towards Amazon's own streaming services with dedicated sections for Prime Video, Instant Video, Amazon Games, Prime Music, and even Amazon's newly launched Prime Photo storage. 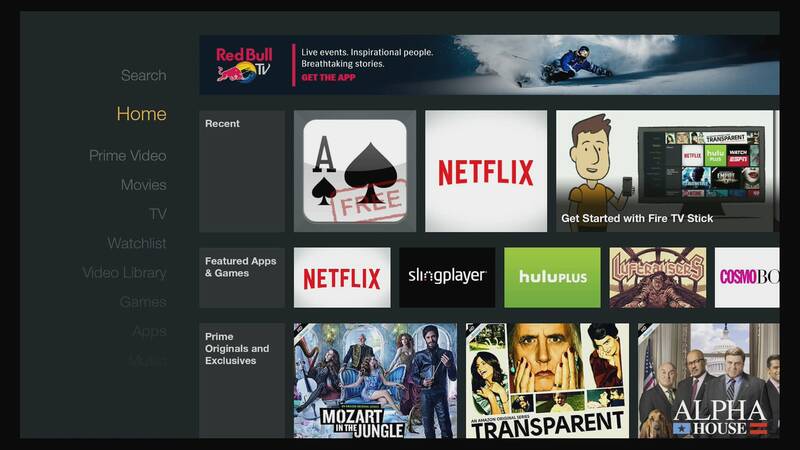 If you want to access third party apps like Netflix, Hulu Plus, Plex, or the various others, you'll have to download them individually via the Apps tab. Once installed, you can reference them from the “Your Apps Library” section or your most recently used apps will be displayed on the homepage for quick access. 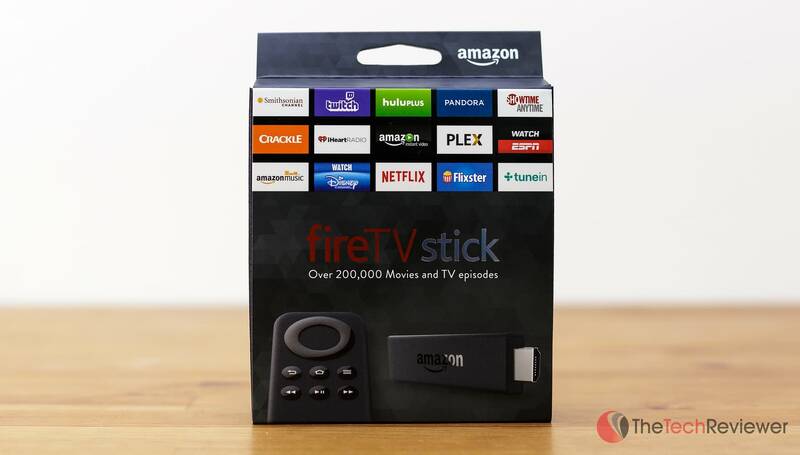 In regards to the competition, the Amazon Fire TV Stick offers a lot of value on the dollar with support for nearly all the popular streaming services as well as a full array of downloadable apps and games. This type of standalone functionality is comparable to Roku's 3500R Streaming Stick and is far more advanced than the functionality found within the Chromecast as that requires another device for playback. As you can see from the table above, the Fire TV stick competes directly with both the Chromecast and Roku options, only falling short in a few aspects. If you are an avid streamer of Amazon Instant/Prime Video content then both the Fire TV Stick and Roku 3500R offer this type of functionality although the Fire TV Stick will result in a better overall experience for its parent service. Those who enjoy services like HBO GO, Rdio, Vudu, or MGO will be disappointed with the lack of support from the Fire TV although the device has only been out for a few months so future support may happen at some point. 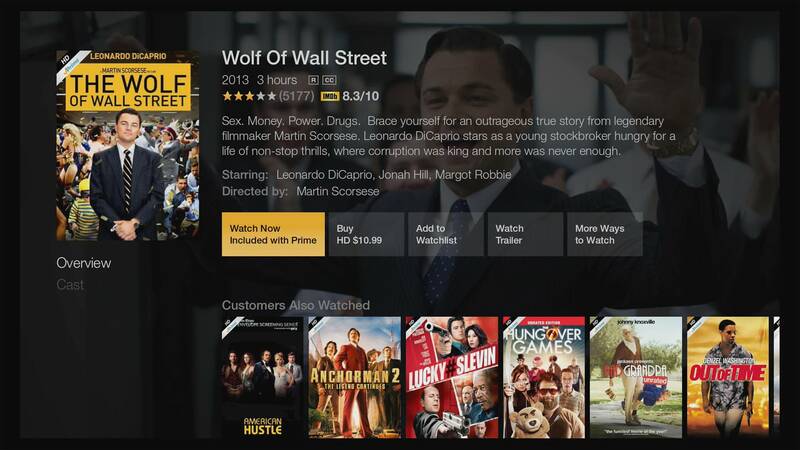 According to Amazon's Fire TV product page, HBO GO functionality is expected to arrive sometime this Spring 2015. Chromecast's major advantage is the ability to stream content from your phone or mobile device on your HDTV with one click. Amazon advertises similar capabilities with select Fire OS and Android devices “without any additional apps or software”. Roku also has limited screen mirroring capabilities, but its selection of compatible devices is currently smaller than that of the Amazon Fire TV Stick. One of my favorite uses for Roku's 3500R Streaming Stick was for live TV streaming via Time Warner's TWC TV app. The Amazon Fire TV Stick does not support this and chances are it never will, but personally I think this to be the only real advantage for me personally in regards to Roku's option (considering HBO GO is expected soon) even though the Roku sells for a 25% higher price. I had pre-ordered the Fire TV Stick the day that it was first announced, so I have been streaming via my review unit for a little over a month now. Since then I've watched probably 25, one-hour TV Show episodes via Netflix and a handful of movies via Amazon Prime Video. Up until now, the performance has been trouble-free with no noticeable stutters or hiccups while I enjoyed stream-able video content. However, your active network speeds and conditions will be the main determining factor for this type of thing so those with a weak network speed may be prone to experiencing some issues. I've found the interface to be easier to navigate than Roku's option which relies on “channels” over apps and the result can get confusing to some users. The menu to menu transition is peppy without much lag, and you can quickly find and access your content without fumbling around the menus. I also preferred the remote that was included with the Fire TV over Roku's native remote option. While it is personal preference, I think it has a cleaner look and remote's button layout has been more pleasing to me. I briefly tested the gaming abilities within the Fire TV Stick, and the experience was mediocre mainly since the included remote is not the most practical use for a controller. If you're really intrigued by the device's gaming potential, you could always dish out the extra $39 for the Amazon Fire Game Controller however my guess is most of you won't actually plan on harnessing the gaming aspect of this device (nor will I). Amazon advertises smartphone compatibility with the Fire TV Stick via the Fire TV Remote App for iOS/Android as well as screen mirroring on devices running Android 4.2 or higher. I tested both of these features on my iPhone 6 Plus and my Nexus 5 running Android 4.4 KitKat and found no success for either. Neither device could locate the Fire TV Stick despite it being connected to the same network. This is likely just some sort of initial bug since the device is so new, but I did notch down the performance rating by a star until Amazon remedies the problem. Amazon took the competition head-on and gave them a run for their money with the release of their affordable Fire TV Stick. The standalone stick supports nearly all of the popular streaming services besides HBO GO, which is expected to be supported sometime this next quarter. For $39, the Fire TV Stick is a no-brainer for anyone looking to invest in a streaming solution without breaking the bank. When paired up against Google's Chromecast and Roku's 3500R competitors, the Fire TV Stick proves to offer the most bang for your buck and the device I'd recommend for most consumers. Anyone in the market for a third-party accessory for streaming video via the popular streaming services (Netflix, Hulu Plus, Showtime Anytime, Amazon Instant Video) and wants to spend less than $50. Amazon Prime members who want to be able to access Prime Video, Prime Music, or the Prime Photo backup service via their HDTV without breaking the bank. 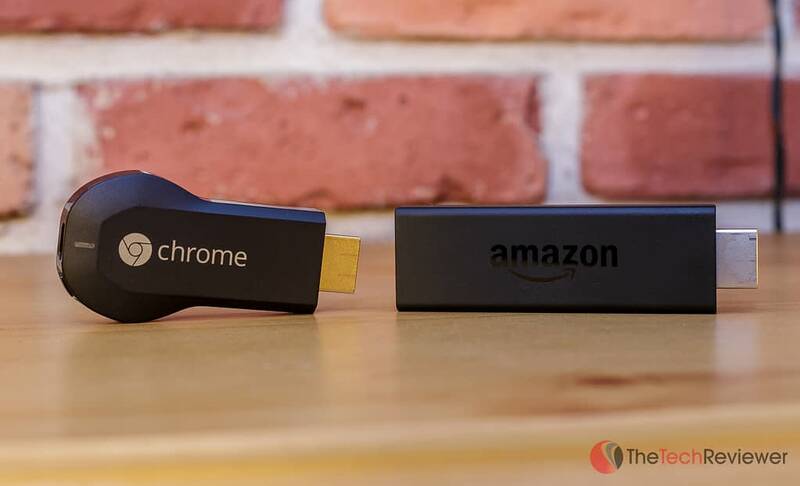 If you are not looking to enjoy content from premium streaming networks like Amazon Instant Video, Netflix, or Hulu Plus and are just looking to watch YouTube videos or Twitch.tv streams on a larger screen, you likely want to grab a Chromecast and save a couple of bucks. Existing Time Warner Cable subscribers might want to dish out the extra $10 on for the Roku 3500R Streaming Stick instead in order to take advantage of the exclusive TWC Live TV streaming app. Those interested in catching up on HBO's The Wire or Game Of Thrones will need to settle for a Chromecast or Roku Stick as Amazon's lack of HBO GO support is a real downfall. What about the $99 Amazon Fire TV? At the $99 price-point, the Amazon Fire TV is superior in terms of compatibility, technical specs, and the overall feature-set. With that being said, I'd still recommend saving a few bucks and going with the Fire TV Stick for the average consumer. Exceptions would be those who plan on gaming on this device or those who desire the Fire TV's included voice remote or the optical out/Ethernet ports.